As a potential franchise owner for any business, you will want to ensure that the company you choose both excites you and is one that is known for success. Granted, you can always choose a more ground-level opportunity that is seeing a slow increase in growth if that is what you are searching for in a business. However, there are some things that should definitely not be ignored when narrowing down your options. If you are looking for a business in the food industry (specifically Asian Cuisine), then I have a pretty decent franchise opportunity here for you today. This company is called BonChon, translating to “my hometown”. And that’s exactly what they want you to feel and experience. The taste and authenticity of their hometown. These standards are exquisite and I am loving the concept that this restaurant has. But is the franchise opportunity just as impeccable? We are about to find out. But before we get too far into the details, let’s talk a little about what you should be looking for when it comes to finding the perfect franchise opportunity. As I have previously mentioned, it’s a good idea to find a business that is experiencing a steady amount of growth. Or one that at least does not seem to be experiencing a huge decrease in the number of locations. Because that could potentially indicate the poor health of a company. You will also want to examine the different benefits that the company offers. Or in some cases, chooses not to offer. This can give you a good idea of how supportive they are when it comes to handling business. All of these aspects can be contributing factors for your decision. But in the end, it’s all about your passion and how you feel about what the company offers. So let’s dive in and learn a little bit of what BonChon is all about. 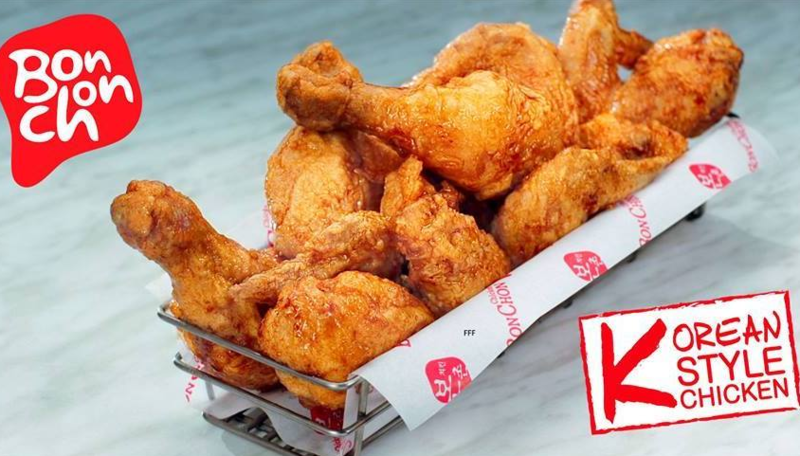 This fast-casual Korean restaurant serves up the most amazing Asian style fried chicken you will ever taste. Along with a menu filled with other related items such as appetizers and sides. Their inclusive chicken menu is influenced by traditional Korean flavors that you are sure to enjoy. Ever since the beginning of this establishment back in 2002, BonChon has continued to expand further from their South Korean roots. By opening the first location in the United States, in 2006, they were able to bring authentic flavors to the states and provide the opportunity for everyone to enjoy a taste from their hometown. Today, there are three different restaurant styles to visit; the traditional sit-down restaurant, a sports bar, and quick-service dining experience. But with each restaurant, the one thing that won’t change is the consistency of quality Korean food. At each location, you will find traditional dishes such as Japchae, Bibimbap, and Tteokbokki. These menu items will have you feeling as if you visited South Korea itself. With delectable glaze flavoring on their chicken, your tastebuds will have you begging for more. If you feel that you have a deep connection with Korean-style cuisine, then maybe it’s time for you to check out the franchise opportunity that they offer. So that you can own your very own BonChon business and deliver tradition flavors to the people in your community. If you are looking to grow with a company in its early years, then this is a great opportunity for you. However, there are a few things that are important for you to be aware of before making that decision. Especially when it comes to choosing a business for the next decade (at least) of your life. BonChon has definitely experienced a decent amount of growth over the years. However, it’s not as much as some other companies have been seeing. But for this industry, the statistics do not seem too bad. Especially since they have only been offering this opportunity for less than a decade. But that’s where the turnover rate comes into play. Since the initial term agreement is 10 years and the company has been offering this opportunity for less than 10 years, a high turnover rate could indicate too many terminations. Back in 2010, BonChon had a total of 17 operating locations within the United States. By the end of 2016, that number grew to 50 franchise locations. And that’s honestly not too bad. But when we take a look at that turnover rate, it begins to get a little concerning. At 13.84, it’s beginning to get pretty high. Especially when there hasn’t been an extreme amount of growth. However, to understand what exactly is going on when it comes to terminations and transfers on agreements, it’s always best to contact the company regarding these numbers. But, here is some good news. 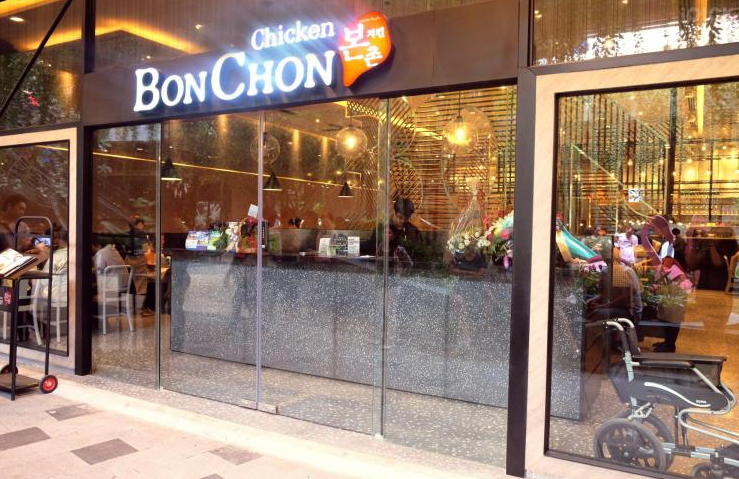 As a franchise owner for BonChon, you receive a decent level of financial transparency and training from the company. You will receive revenue information regionally, system-wide average revenue information, and the sales numbers from affiliate-owned locations. All of these benefits can be extremely useful for you with your new business. Especially when it comes time to train your employees and keeping everyone on the same page. This ensures consistency and gives you more potential for having a successful business. The requirements and fees that a company expects from you can potentially finalize your decision on a specific opportunity. Especially if the company is already one that you have a connection with. But what happens when the requirements are too far fetched? That could possibly give us an idea of why so many locations closed down, right? However, that’s not always the case. In fact, when it comes to BonChon, they have decent requirements that you can expect from just about every company. And they actually offer some perks that other places won’t even consider handing out. The initial franchise fee for this business is $40,000; which is quite average for this industry. And your total investment can range anywhere between $397,600 and $862,278. It can vary greatly depending on your specific location, among other factors. Your initial franchise fee will allow you to sign into a 10-year initial agreement term. Once those 10 years are over, you can then renew your agreement or 5 more years at an additional unknown fee. You will have to ask the company regarding the renewal fee for this franchise. However, one thing that will not change, is the fees that you are required to pay on a regular basis. There is a 4.8% royalty fee and a 2% advertising fee. Both of which are ongoing and based on your gross revenue. These fees are required by just about every company and are decently average for this specific industry. With all of these fees that you will be paying, I’m sure you are thinking to yourself, ‘what do I get out of it, besides my own business?’. Well, how about some territorial rights to your franchise location? These rights are something that BonChon chooses to provide to its franchise owners, unlike many other companies. You are also provided with refunds under special circumstances. So, if by any chance (within reason, of course), you back out and are in need of a refund, BonChon does deliver refunds. An incredible franchise opportunity is like finding a needle in a haystack. But it’s not entirely impossible. In fact, I believe that we may be onto something here with this BonChon opportunity. The price is extremely affordable. And even if you can’t afford it all in one sitting, there are ways to go about finding lender options to get started with your business. Even then, if you figure out that the business isn’t the right fit for you, there are options available for refunds. Of course, you can’t just grab a refund for any reason. But at least the option is there. I appreciate the fact that this restaurant stays true to its traditional flavors and continues to serve amazing Korean cuisine. There may be a lot of Asian restaurants in America, but there are none quite the same as BonChon. And the fact that this company offers a decent amount of benefits is extremely flattering as well. Because there aren’t many companies out there that are willing to provide training and financial data for new franchise owners. To me, this seems to be a decent opportunity with good potential for growth in the future. You are probably feeling either overwhelmed or excited to move forward after reading this far. And maybe you are even feeling a mix of both of those emotions. Most likely, you are. And that’s perfectly normal. In fact, I would be quite concerned if you weren’t. Purchasing a new business is a huge deal and shouldn’t be taken lightly. And that’s exactly why these statistics and franchise details have been laid out in front of you today. So that you can make that decision without feeling any discouragement or regret. I believe that it’s important to always follow up with the company to extend your knowledge on the opportunity, however. Especially if you are truly showing interest in this business. Because there are still a few things that may not add up with this opportunity. Generally speaking, the high turnover rate. However, if you still feel that this franchise opportunity is one that you can see in your future, then contact the company and get started on learning more about how you can be on your way to owning a franchise location for BonChon in your community.